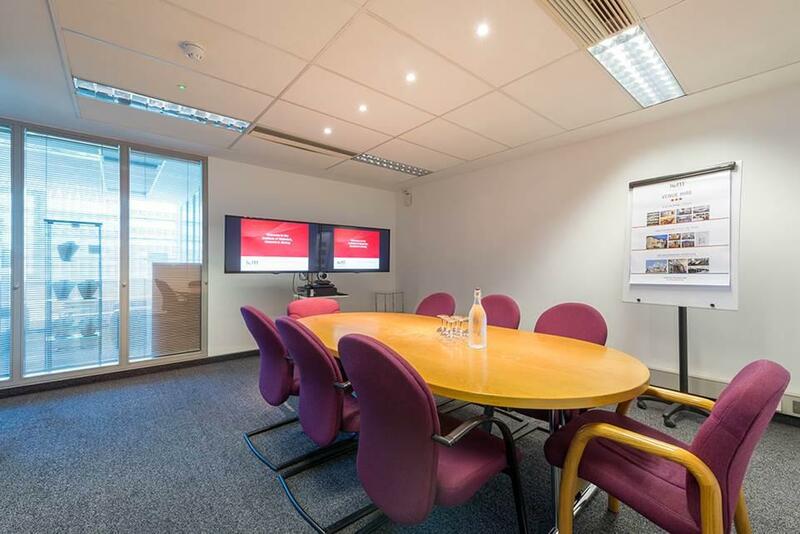 This room boasts the latest in video conference technology* and lends itself to small meetings that require the engagement of external participants. 1. A booking is considered confirmed once the room booking form has been signed, dated and returned. Prior to this confirmation the booking will be considered as provisional and subject to change. 2. Changes to layout and equipment supply beyond the details on the booking form and made on the day of your event may incur an additional charge. To avoid additional charges, all arrangements must be reviewed and confirmed 7 days before your event. 3. Any damage or spillages caused during a letting should be immediately reported to the Receptionist. The cost of repairing the damage or the cost of professional cleaning may be charged to the client. 4. Permission must be obtained to move furniture, fittings or lights. 5. Fine Taste Catering Ltd have the exclusive right to provide catering across the 297 Euston Road site. No other company may be used and other pre prepared food and drinks cannot be used for consumption on the premises. It is the booker’s responsibility to forward this information to all those attending the event. 6. Permission should be sought for the distribution or siting of display and promotional material in 297 ER. Additional signage can be provided by the events team. 7. Smoking is not permitted anywhere on the premises. 8. Users of the facilities are responsible for all personal belongings and equipment brought on site. It is the client’s responsibility to forward this information to all those attending the event. 9. Please note that the use of Blu Tac or adhesive tape on walls or fittings is not allowed. Extra flipcharts or poster boards can be provided as an alternative. 10. Applications for venue hire will be accepted only if the nature of the function is considered appropriate by 297 ER Events. 297 ER Events reserve the right to refuse a booking. 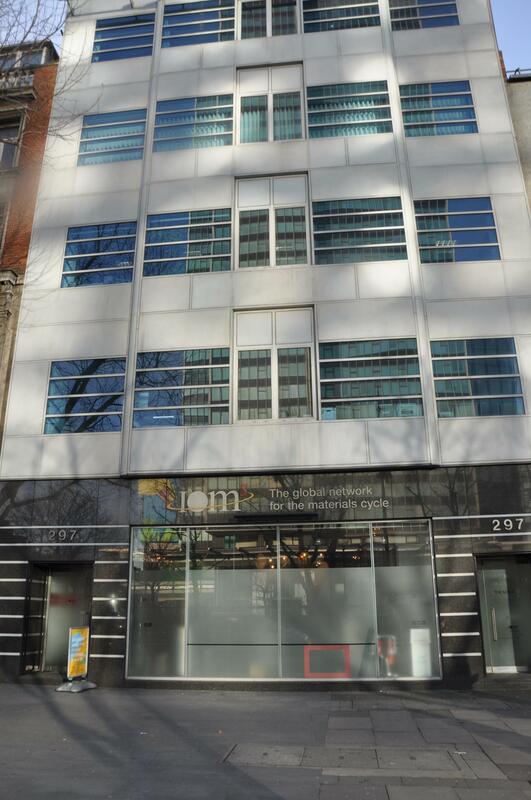 297 Euston Road, the new headquarters of the Institute of Materials, Minerals and Mining (IOM3), is now available for hire for meetings, events and functions. 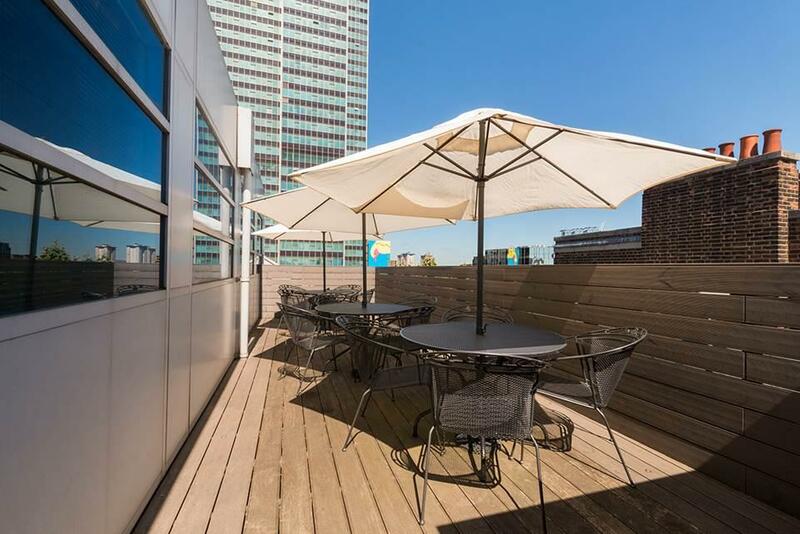 Situated in a bustling area of zone 1, the building fronts onto both Euston Road and Warren Street and is located within one minute’s walk of Warren Street underground station, with exceptionally easy access to most of London’s mainline railway stations, Eurostar, and future Crossrail and HS2 connections. The building has been carefully redesigned to create unique and multifunctional spaces in a clean and contemporary setting. The rooms provide spaces for conferences and meetings and the impressive Bessemer Suite can be transformed into an events space to accommodate awards ceremonies and product launches. 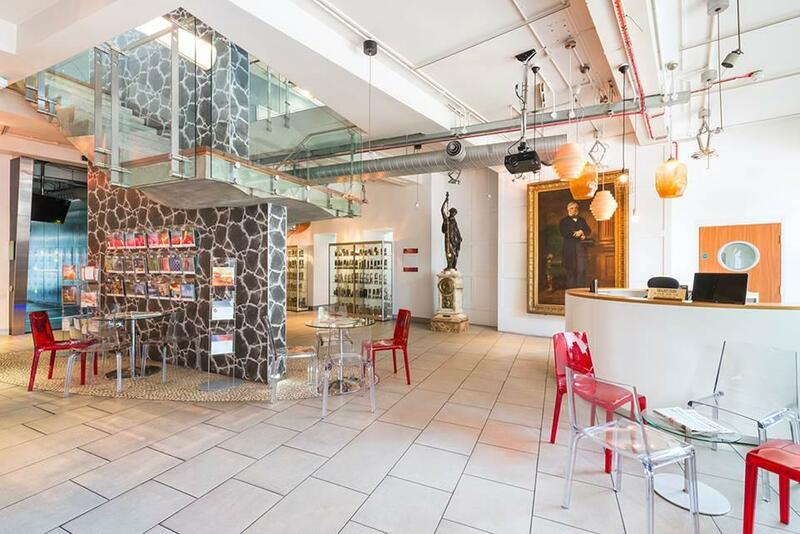 With capacities ranging from 10 to 100, it is an ideal choice for those looking for an adaptable and impressive venue in the heart of the capital. All rooms benefit from air conditioning and wifi.